I can only say I have my months past really fast with all the sleeping and eating in this period of my life. I am journey into my 6th month of pregnancy. I still felt drain and tire after work and can not stay awake after dinner. Most of the time I will be sitting and doze off infront of the TV till my love gentle nudge me and ask me to get into bed. Gosh I hope I will have more energy as time past. 2. Line the bottom of the round metal bowl and spray oil around the bowl. 3. Put castor sugar, evaporated milk, vanilla extract and butter in a saucepan, stir over low heat until the sugar is dissolved and butter melted. Off fire and leave to cool. 4. Add the beaten egg into the above mixture and still till well combine. 5. Sift the flour , cocoa power , baking powder and baking soda into a large mixing bowl. 7. Pour the batter into the prepared pan , cover top of the pan with a piece of aluminium foil. 8. Steam over medium heat for 45min. 9. Cool the cake in the pan before turning our for further decoration . 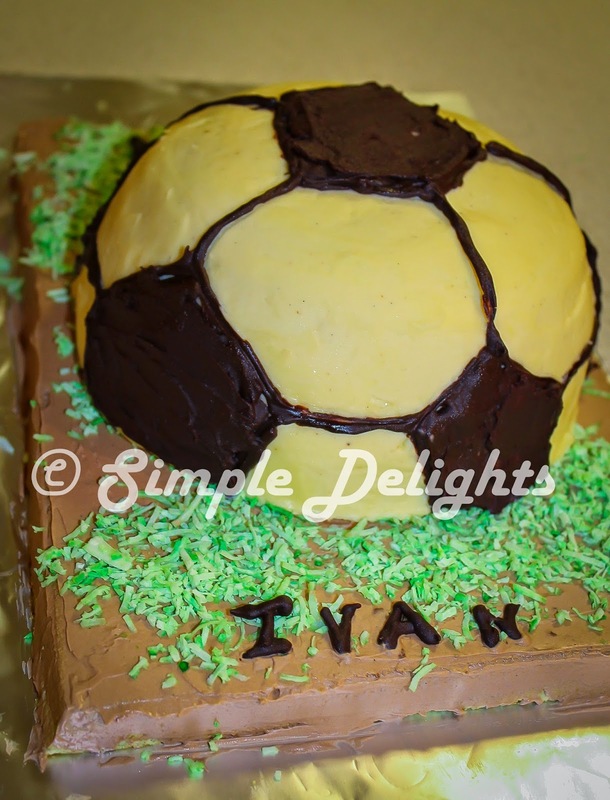 I have this cake decorate by using Vanila Buttercream and Melted Chocolate. To make the football filed, it is the simple pandan chiiffon swissroll base. I would not say this is a good decorate football cake. 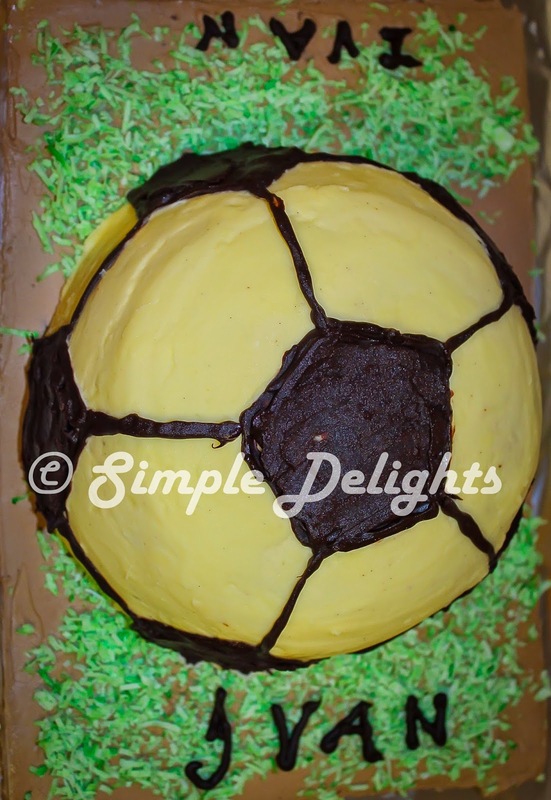 Anyway is the 1st attempt of making a football cake. I do hope to improve my skill in near future. The steam chocolate cake is kind of dense however as it is a steam cake so the moist still keep well in the cake. I do hope the parents and the boy has enjoy this cake.